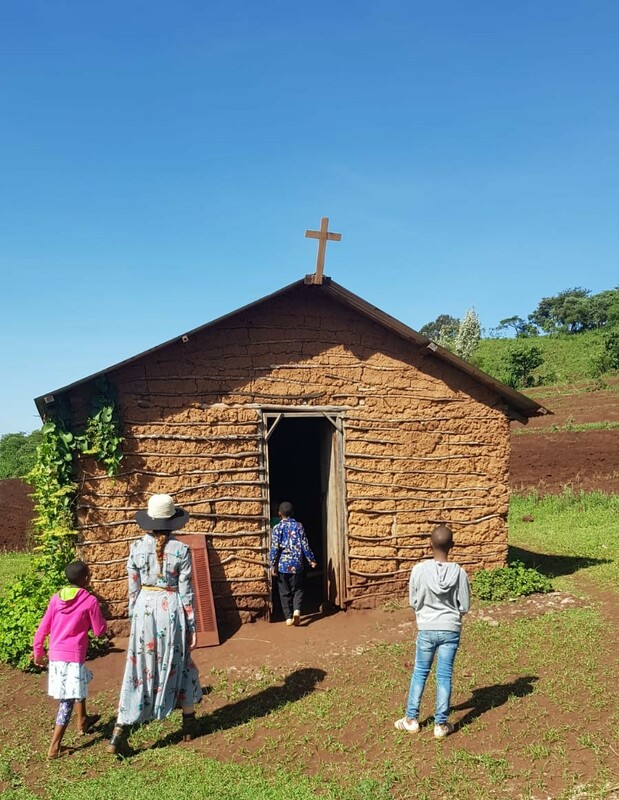 On Sundays some of our children from the Children’s Home go to church. At about 9:00 they change from their play clothes into their ‘Sunday best’ and begin their journey. Without the need for supervision, they make their way down the hills, through the bush and along the dusty roads to the local church. Linking arms and singing songs, the 30 minute walk goes by relatively quickly. On this particular Sunday, our two new Australian volunteers accompanied the children on their journey, much to their delight. 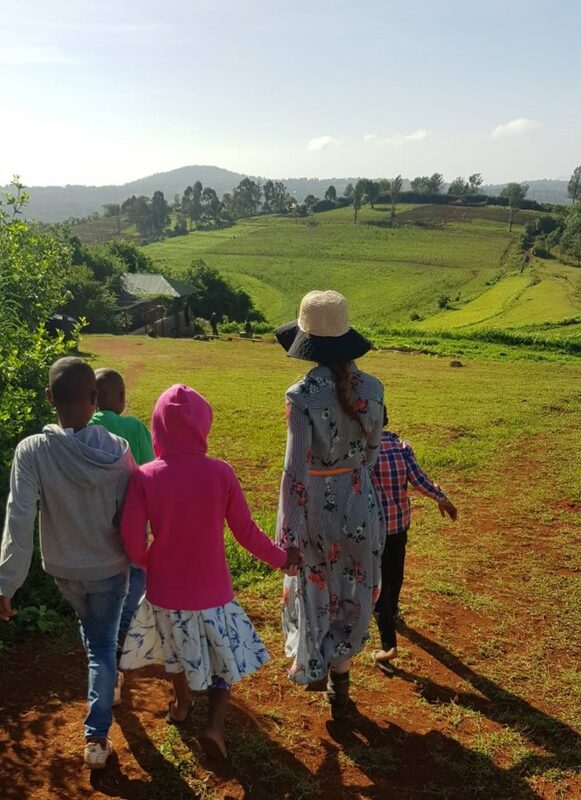 As the kids happily chatted away to each other in Kiswahili, swinging the hands of the volunteers and singing songs, they came across some local children of similar ages, herding their cattle. In ragged clothes and without shoes, these local children carried great, long sticks used to steer their cows in the right direction. Some of these children were as young as three years old. 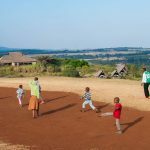 Whilst this was rather a startling reality for the volunteers to witness, it was simultaneously an affirming realisation of the better future ensured for the kids of the Rhotia Valley Children’s Home. After a hot and dusty walk accompanied by the songs “The Lion Sleeps Tonight” and “If You’re Happy and You Know It”, the group of five children (two girls and three boys) and the two adult volunteers (a brother and a sister) arrived at church. The building was located between two sets of freshly planted maize crops, with separate mud huts for bathrooms on the left. The path leading from the main road to the church had one of the maize crops on its right and a line of local houses on its left. 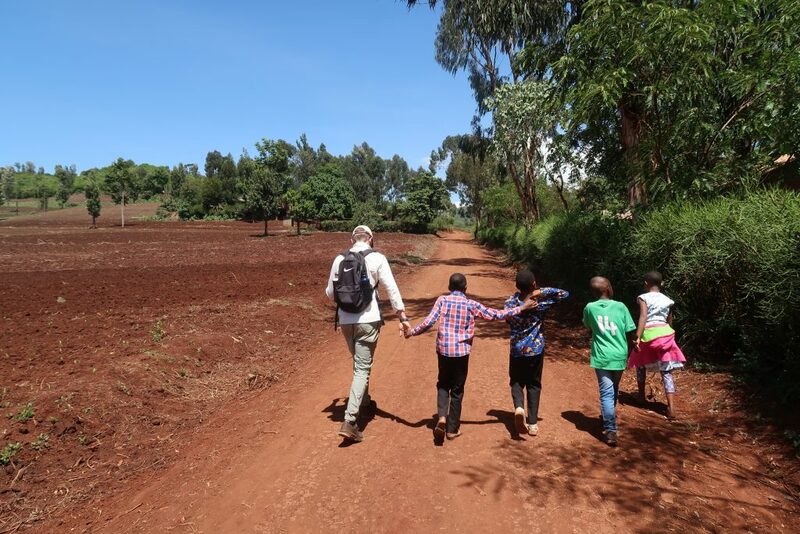 Several small children came running out of their homes and onto the path to greet, and observe, the Mzungu walking by. By now the Australians had accepted they’d be a big attraction in this village. First to arrive, the volunteers and the children took their seats near the front of the church and waited quietly for the rest of the congregation to join them. Even the youngest member of a church here knows to be quiet, out of respect, when inside the church. This was an interesting observation for the newcomers, to watch a politely silent gathering evolve into vibrant singing, dancing and drums, before returning to its former quiet state. Only knowing a handful of Swahili words, the pastor requested that one of the choir members sit next to the volunteers supposedly from Austria (as Australia seems to be an unknown concept) to translate word-for-word the entire service. Ezekiel, the chosen one, sat squished between the Austrians and the growing number of children doing their best to sit next to these exciting new members. The female volunteer did best to hear these translations, in between having her curiously strange long and red hair inspected by any child who felt it necessary to do so, and have all her belongings shared among the Rhotia Valley kids. It seemed anything and everything related to the foreigners were of utmost interest. While the kids quietly occupied themselves fiddling with sunglasses and hats, the male volunteer spotted several large hornet’s nests dangling precariously from the ceiling. Completely covered in buzzing hornets, he, too, was distracted from whatever he could understand of the translation. Having now understood the overall message that witch doctors were in fact not the answer and that Jesus was the only true doctor, the congregation gathered outside to hand out eggs to a small selection of people and shake hands with every member. It is not clear what the meaning of the eggs were, but it was a nice gesture all the same, particularly as the male volunteer was one of the chosen receivers. The walk back home was not quite the same walk to the church. Firstly, the children decided to take another path, zigzagging left and right and left and right, leaving the volunteers completely confused. Secondly, the walk back was uphill, and as it was now the middle of the day, the sun was burning bright and hot above their heads. After a few pit-stops, the group made it back to Rhotia Valley, 45 minutes later. And finally they arrived at the Home, where the kids were eager to get to lunch!